The Deutsches Spionagemuseum in Berlin is an interesting museum on the history of spying, agent gadgets and surveillance. The German Spy Museum (Deutsches Spionagemuseum) in Berlin is the only museum in Germany focusing exclusively on international spying. 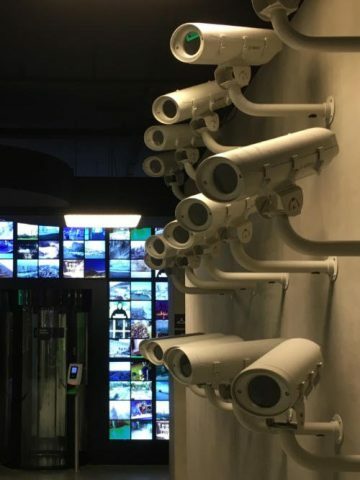 It covers the history of spying with interesting information, videos and around 350 spy-related equipment and agent gadgets. Interactive activities include cracking codes, finding bugs and crossing a laser maze room. The Spy Museum in Berlin is an interesting museum to visit that is both informative and entertaining. Tickets are available online from Tiqets and GetYourGuide. The German Spy Museum (Deutsches Spionagemuseum) in Berlin is the only museum in Germany on international spying, something that the German capital is probably more familiar with than many other cities in the world. For much of the twentieth century, Berlin was the center of international spying and covert operations. 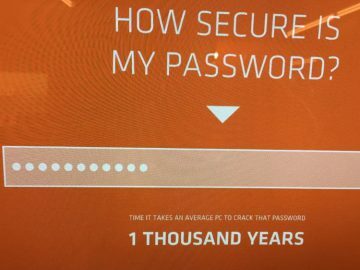 The German Spy Museum covers the history of spying from ancient Egypt to the present. The larger sections cover spying in the Second World War and of course the cold war era. Many of the agent props on display were produced by the East German Stasi, which were quite ingenious in its surveillance methods. A further large section covers the portraying of spying in entertainment including original props from several 007 James Bond movies. The museum has a wealth of information, photos, audio and video, as well as many agent gadgets on display. 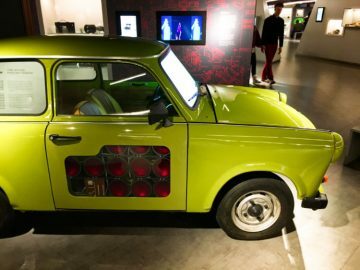 These around 350 items range from a copy of a Trabi built with massive infrared flash bulbs in the passenger door and an enigma machine to miniature guns and pre-electronic era micro cameras. All descriptions are in both German and English, although somewhat annoyingly, many are on video screens rather than directly at the exhibits where it would have been easier to read in case someone else is already going through the descriptions on the touch screens. Many displays in the German Spy Museum in Berlin are interactive. Visitors may try their hands (and minds) on several spying related tasks – many much more complex than simply testing the strength of your online passwords. These include trying to find bugs in a room, encoding messages and hacking. 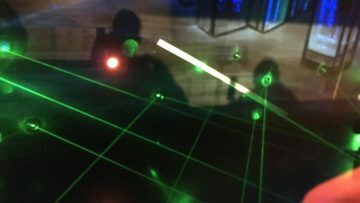 A highlight for many is the laser maze room – visit early or late to avoid having to queue and the opportunity to try it multiple times. It is possible to check progress afterwards online. To fully appreciate the museum, much reading is required, which makes it probably more suitable for ages late teens up than for families with small children, for whom the DDR-Museum is an easier to enjoy option. 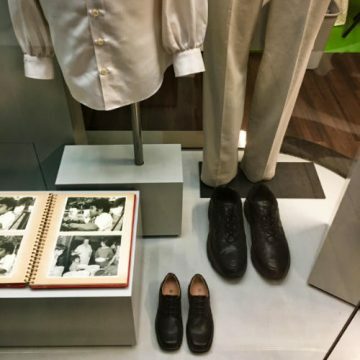 In recent years, many “museums” sprang up in central Berlin to compete for tourist’s euros rather than to compete intellectually with the cultural heavy hitters of the German History Museum or the national museums on Museum Island or the Kulturforum. The German Spy Museum is clearly one of the better efforts being both entertaining to visit and academically robust. The Deutsches Spionagemuseum is open daily from 10:00 to 20:00. The Spy Museum is thus a great option on Mondays, holidays (even Christmas and New Year’s Day), and in the early evening. It is often pleasantly quiet shortly after 18:00 but don’t arrive too late – visitors often spent near two hours here while the really dedicated have more than 5 hours of video to go through. 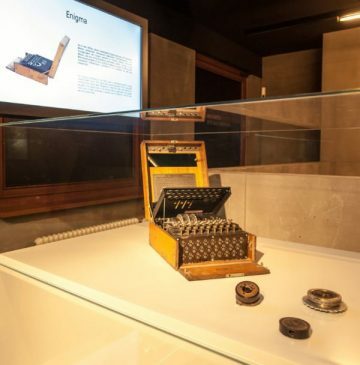 Admission to the German Spy Museum is €12 for adults and €8 for students and children of school age. Family tickets may also give small savings. Admission tickets are available online from the museum or from resellers such as Get Your Guide and Tiqets. However, many discounted tickets are available, for example with the Berlin Welcome Card while admission is free with the fantastic-value Berlin Museum Pass. 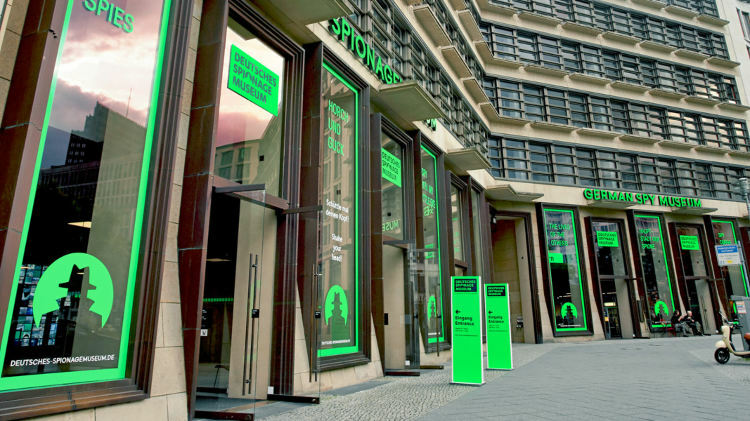 The Deutsches Spionagemuseum, Leipziger Platz 9, 10117 Berlin, is conveniently located just off Potsdamer Platz in the large Leipziger Platz octagonal square. 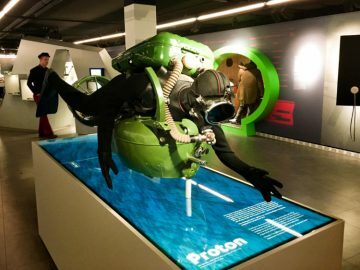 The bright green German Spy Museum signs are easily seen near the red Dali Exhibition – enter through the German Deutsches Spionagemuseum side. Bus 200 and M48 stop practically directly in front of the museum but all the fantastic public transportation options for Potsdamer Platz are only a few minutes walk away. The Mall of Berlin, the largest shopping center in the city, is just across the road from the museum while the Topographie des Terrors and an important remaining section of the Berlin Wall are just two blocks to the south. Note the marking line of the Berlin Wall – it passed diagonally through Leipziger Platz just a few meters from the entrance to the Spy Museum.